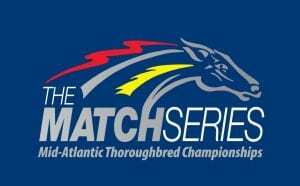 The MATCH Series travels to northwestern Pennsylvania for the first time when Presque Isle Downs & Casino on Aug. 20 hosts the $100,000 Satin and Lace Stakes, fourth of five legs in the Filly and Mare Sprint—Dirt Division. The Satin and Lace, which attracted a full field with an also-eligible list, lured division leader Jessica Krupnick, who needs one more start in a MATCH event to qualify for bonus money. The fifth and final leg, the $100,000 Roamin Rachel Stakes at Parx Racing, will be run Sept. 15, final weekend of the series. Trained by Francis “Tres” Abbott III, Jessica Krupnick in her two MATCH Series starts finished second in the Regret Stakes at Monmouth Park in June to Chalon, who won impressively by four lengths but hasn’t raced since. She followed up with a victory in the Dashing Beauty Stakes at Delaware Park in July and has 17 points in the series. Before her MATCH Series run began, the 5-year-old mare shipped to Woodbine for a grade III stakes for fillies and mares on the Tapeta surface and finished fourth, beaten only three-quarters of a length, after taking the lead from the start. Jessica Krupnick has been training on Tapeta at the Fair Hill Training Center in Maryland, and Presque Isle has a Tapeta surface. 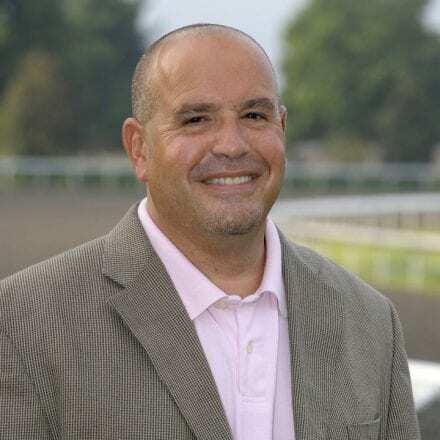 The six-furlong Satin and Lace is the local prep for the grade II Presque Isle Masters Stakes and therefore drew interest from connections of fillies and mares with experience on synthetic surfaces, including graded stakes winners and the winner of last year’s edition. Heading into the fifth leg of the MATCH Series Filly and Mare Sprint—Dirt Division, it appears Liz’s Cable Girl, owned by John Cocce, Lisbeth Dodd, Peter Donnelly and Gerald Melley, is one of two other fillies that can qualify for bonus money. She currently has 8 points but must start in the Roamin Rachel to qualify for the extra cash. Liz’s Cable Girl won an allowance race at Monmouth by nine lengths in a scratch-depleted field Aug. 11. 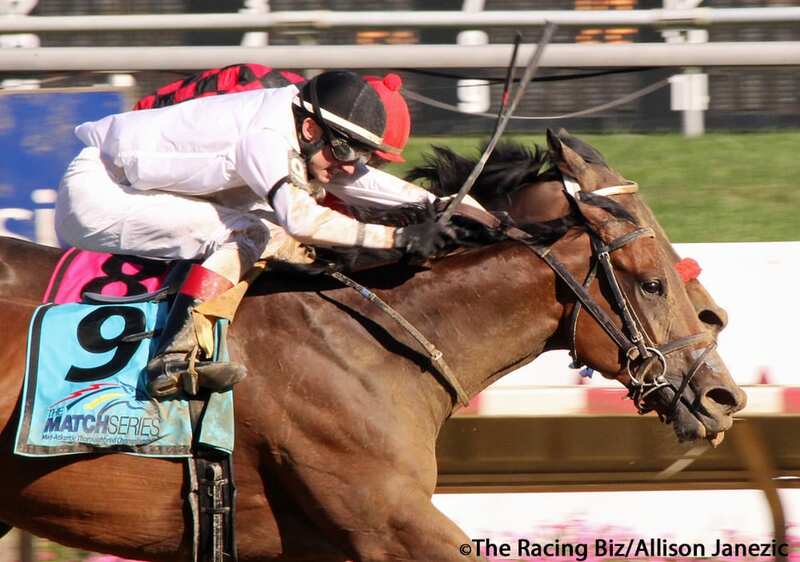 Trained by Pat McBurney, the 4-year-old filly New Jersey-bred filly is two-for-two at Parx. Mr. Amore Stables’ Day by Day, trained by Kelly Breen, has accumulated 4 points by starting in the Regret and Dashing Beauty and also would qualify for bonus money with a start in the Roamin Rachel. Others with points in the division are either on the shelf or started in only one series event. The fourth leg of the 3-Year-Olds and Up Long—Dirt Division, the $100,000 Sal DeBunda PTHA President’s Cup at Parx, is set for Aug. 25. The 1 1/8-mile race attracted 17 nominees including five horses who still have a shot at bonus money. One of them, Adam Staple and Jalin Stable’s Page McKenney, leads the division with 22 points and, because he has started in the first three division legs thus far, qualifies for 5 bonus points in his next start. Also nominated to the President’s Cup are Colts Neck Stables’ Name Changer (10 points), winner of the grade III Monmouth Cup; Ten Strike Racing’s Zanotti (7 points), second in the Monmouth Cup; Al and Michelle Crawford Racing’s Shaft of Light (7 points), second to Page McKenney in the grade III Salvator Mile and Monmouth; and Dennis Drazin’s Sunny Ridge (5 points), third in the Salvator Mile. All four, however, would have to start in the President’s Cup and the $200,000 Presque Isle Mile Sept. 16 to qualify for bonus money. Bonus money is awarded as follows based on division points to the connections of horses with at least three starts in a single MATCH Series division: First place, owner $25,000 and trainer $15,000; second place, owner $15,000 and trainer $10,000; and third place, owner $10,000 and trainer $5,000.